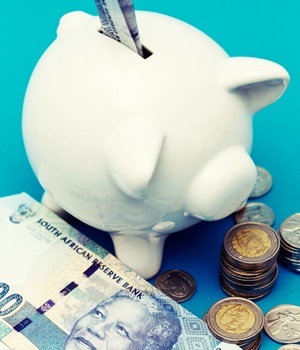 Johannesburg – South Africans do not realise how large their future financial liabilities will be, and the only thing they can do to mitigate such associated risks is to control how much they save, said Old Mutual Investment Group strategist Rian le Roux. Le Roux was speaking at the launch of the Old Mutual Savings and Investment Monitor 2017, at the JSE on Wednesday. He explained why it is important for South Africans to take their savings seriously. “They do not realize how large their future financial liabilities are, they wrongfully assume they will ‘be ok’ at retirement,” he said. Le Roux said this assumption is a big mistake. Another observation is that those who can save, save too little. Le Roux said that people also make poor investment decisions. They often fall for the promise of higher investment returns. In addition to that, they do not have savings goals. The slow economic growth will make it harder to save more. This will lead to a rise in dependency ratios because with low growth there is lower job creation, he explained. Longevity also adds pressure on children to take care of their ageing parents, so the sandwich generation will be more “squeezed”. Healthier lifestyles and medical breakthroughs are contributing to people outliving their retirement funds forcing them to be dependent on others. Government in turn has a constrained fiscal position, and rising tax rates will erode any saveable income. With a slow growing economy, investment returns are likely to be lower. Lower returns coupled with lower savings will leave people in a poorer financial position at retirement, he explained. Further, a drop in foreign investment and low domestic savings, investment in social and physical infrastructure will decline too. From 2015, investment fell from 20.4% to 19.6% in 2016. National savings declined from 16.3% of GDP to 16.1%. If this trend continues it will undermine the already weak performance of the economy, said Le Roux. 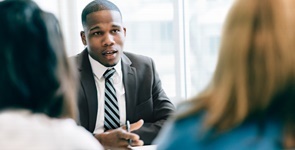 Personal financial management should involve preparation for the future. “You must adjust your spending pattern according to your perception of your entire life,” he said. There is a financial cliff they will inevitably face at retirement, where their income and standard of living will drop. “How steep this cliff will be is entirely dependent on how well people provide financially for this day,” he explained. Give up a portion of spend in your working life to have a higher standard of living in retirement. But this is a conscious decision, which is difficult to make, said Le Roux. South Africans may not be able to control investment returns, nor can they control how long they can save for. But they can control how much they save, said Le Roux. * It's National Savings Month. Do you have a successful savings plan or story to tell? Share it with us now and help others to also become Savings Heroes. For more on savings visit our special Savings Issue. Give up a portion of spend in your working life to have a higher standard of living in retirement. The extent to which you are able to save depends largely on your attitude towards money and not how much you earn, says a product specialist. 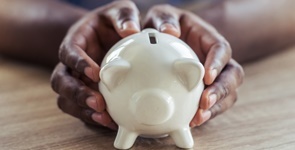 As part of the July Savings Month, the South African Savings Institute has provided 12 ways you can ensure you create good habits to save.